The Nissan Tiida is a small subcompact vehicle sold by Nissan in different markets around the world. From 2006-2013, the Nissan Tiida was sold as the Nissan Versa in the United States before other international models were given the American badge. 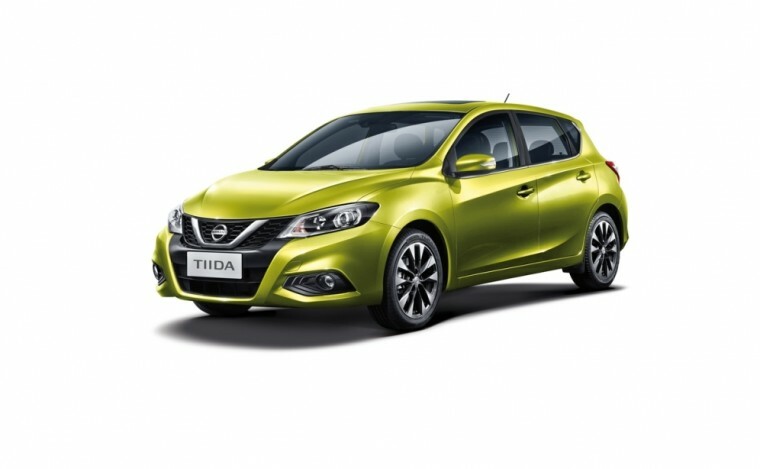 An all-new Nissan Tiida was just unveiled in China today at Beijing’s Auto China 2016 show, and we’re hoping that it could return to our shores soon. Nissan considers the Tiida as part of its “Nissan Intelligent Mobility” movement towards zero emissions and zero motoring fatalities. While this vehicle does run on fuel, it has many available technologies to keep drivers and their passengers safe, like Lane Departure Warning (LDW), Forward Emergency Braking (FEB), and Blind Spot Warning (BSW). The look of the Nissan Tiida falls right in line with other recent redesigns in the Nissan brand. The grille of the vehicle features the prominent chrome “V” found on the new Nissan Maxima and Murano, to name a few examples. The hatchback’s powerful hood and sculpting along the sides also mirrors the much larger vehicles. The vehicle does have emissions, but its small 1.6-liter engine works together with an Xtronic CVT and Intelligent Start and Stop System to ensure that any fuel consumption is put to work moving the car forward as efficiently as possible. No official release date has been given for this vehicle, but we’ll see if it stays in Asia or if it becomes the new Nissan Versa. We also challenge you to not call it the “Tilda” in your head later today.